Folklore, science, mythology, art, religion, archaeology, mathematics…it goes on and on in a our cyclical history. Starting with a Golden Age to the Dark Ages and to the present ascending age. 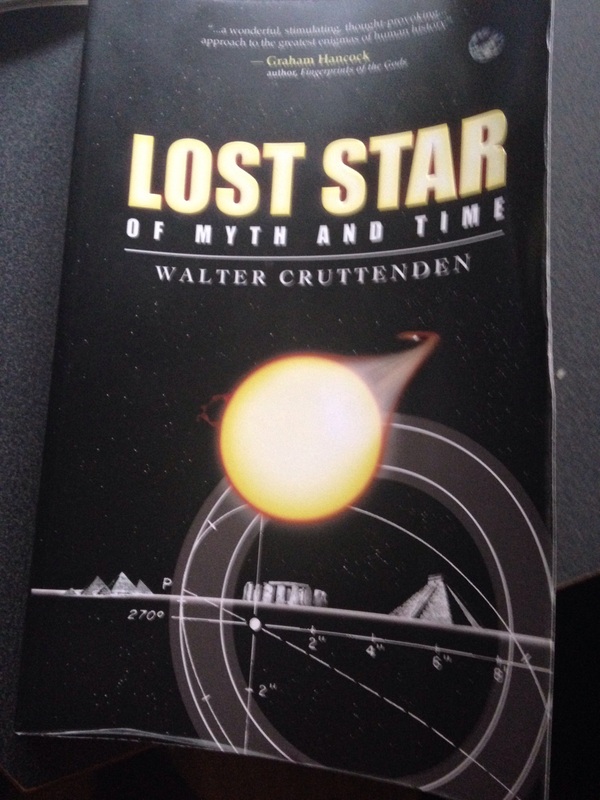 This book holds a powerhouse of information and research with a holding theory that we live in a binary solar system. Yes incredulous and far-reaching as it sounds it is a book that needs to be read. Part of my ongoing search for the meaning of life !! This entry was posted in "In the beginning there was a void except for the written word." The Avengers (Band), extramundane, the Esoteric heart beat... and tagged Alternative music, archaeology, Art, beauty, cyclical history, Depth Psychology, Esoteric, Hudley Flipside, Lost Star, postaday, religion, solar system, Women. Bookmark the permalink.